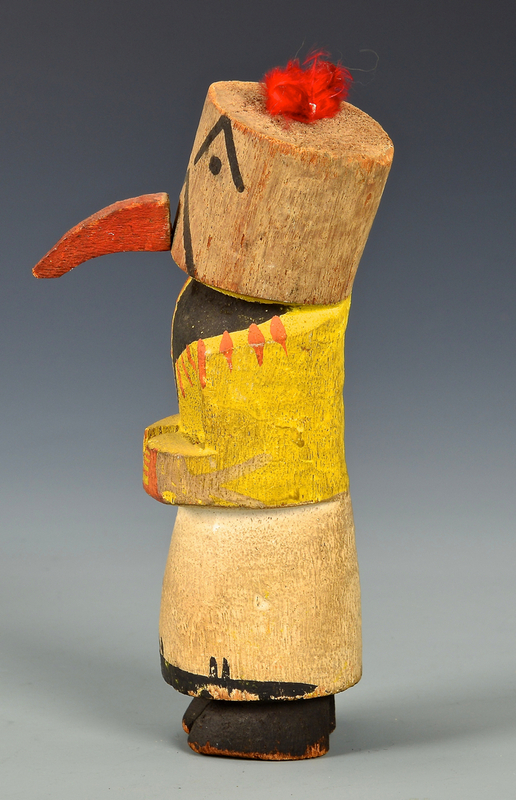 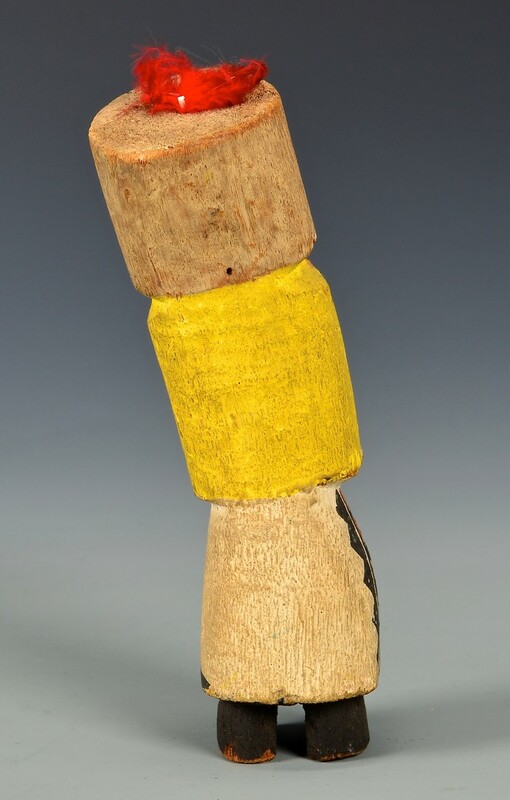 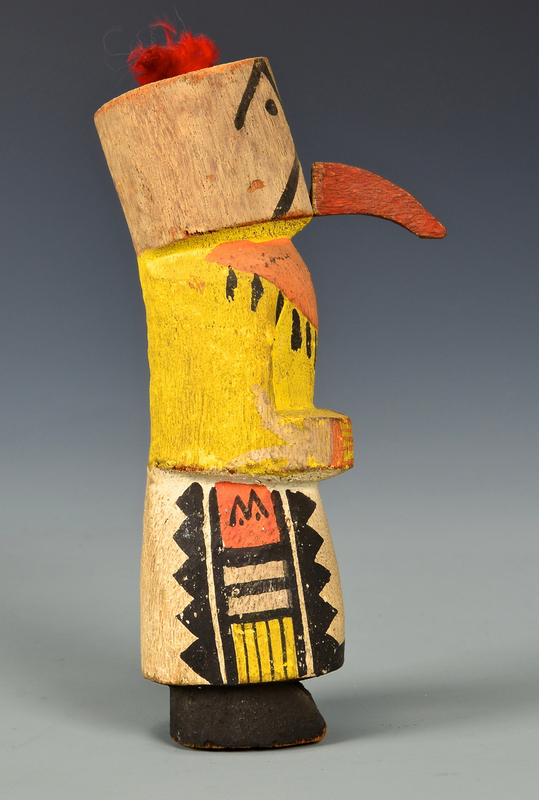 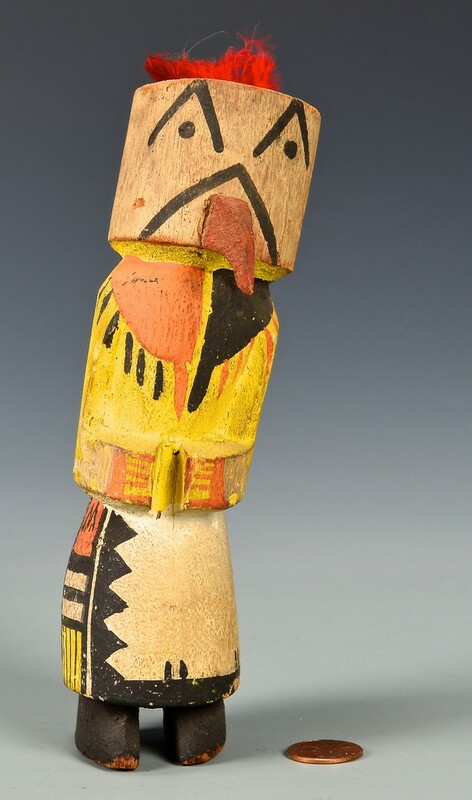 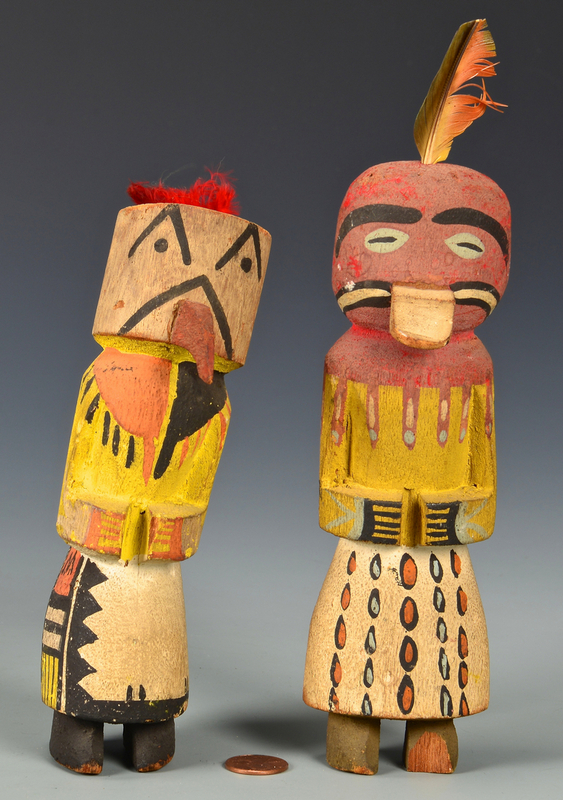 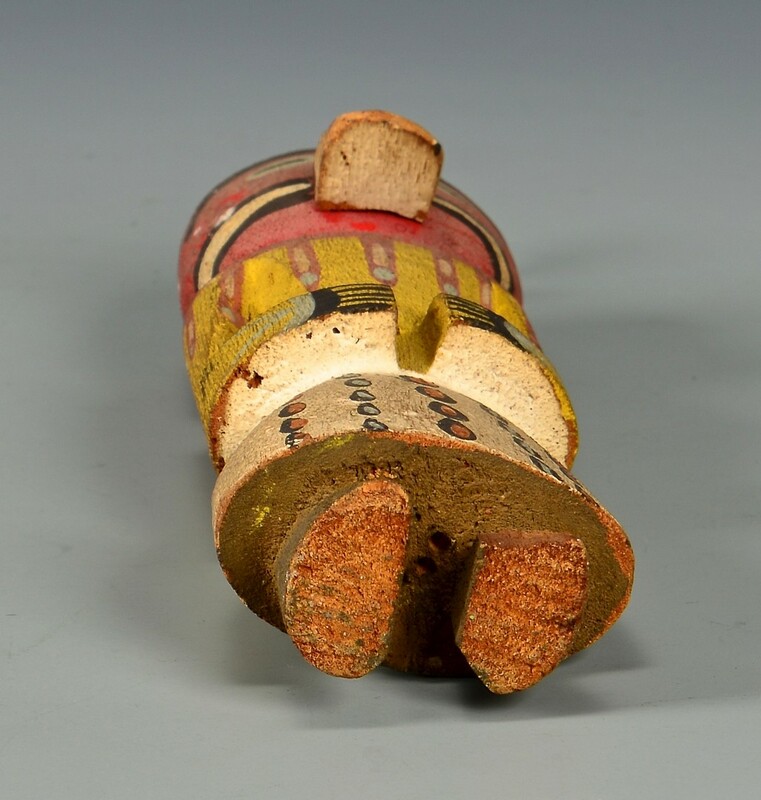 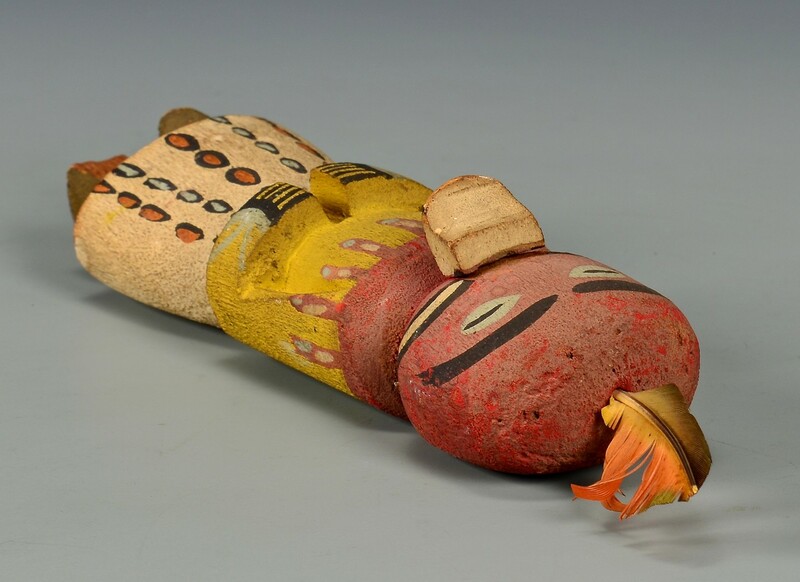 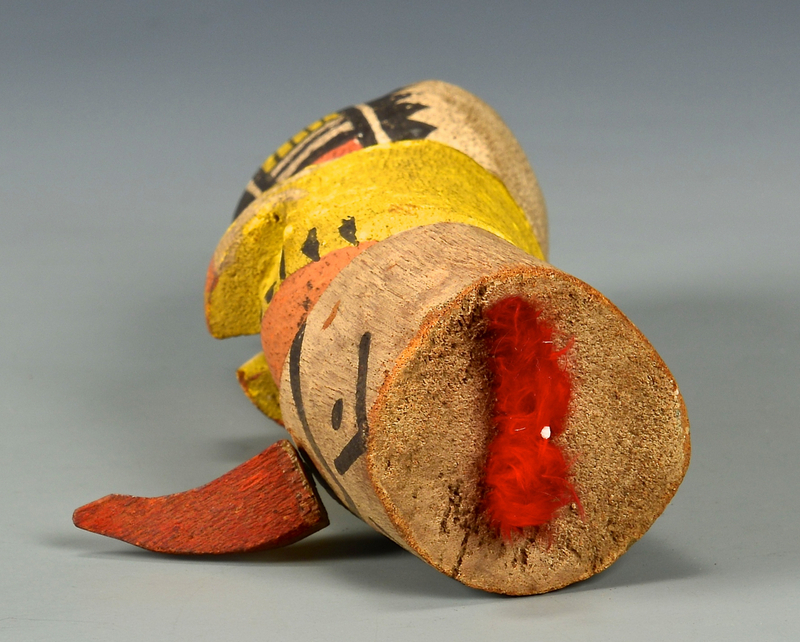 Two (2) Route 66 Kachinas, Possibly Hopi or Navajo made, pine and commercial pigments, classic cylindrical form with one having a descending beak, the other with duck bill, 6 1/2 H & 7 1/4 H. 1920-30s. 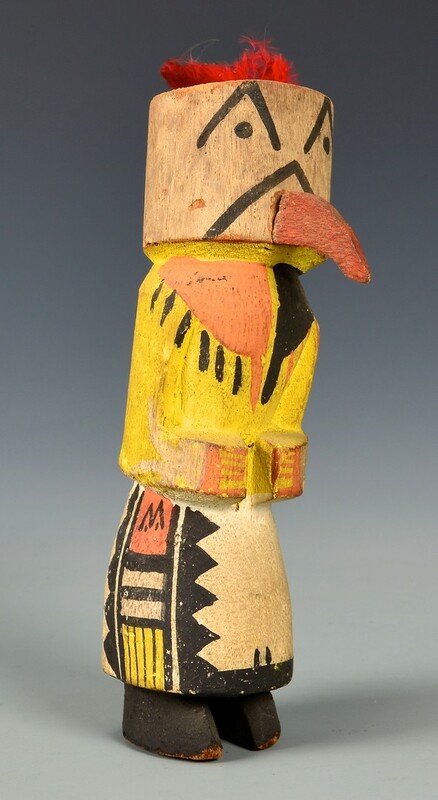 Provenance: Property from the estate of Dorothy Louise Luhrs, PhD, (1910-1972), Archaelogist with University of New Mexico/School of American Research Field School, whose studies and research included the Una Via Chaco Canyon, NM, Largo Canyon, NM, Guatemala, Mexico, and the Hoopa Indian Reservation in northern California.Luhrs was also president of the Southwestern Anthropological Association from 1950-51. 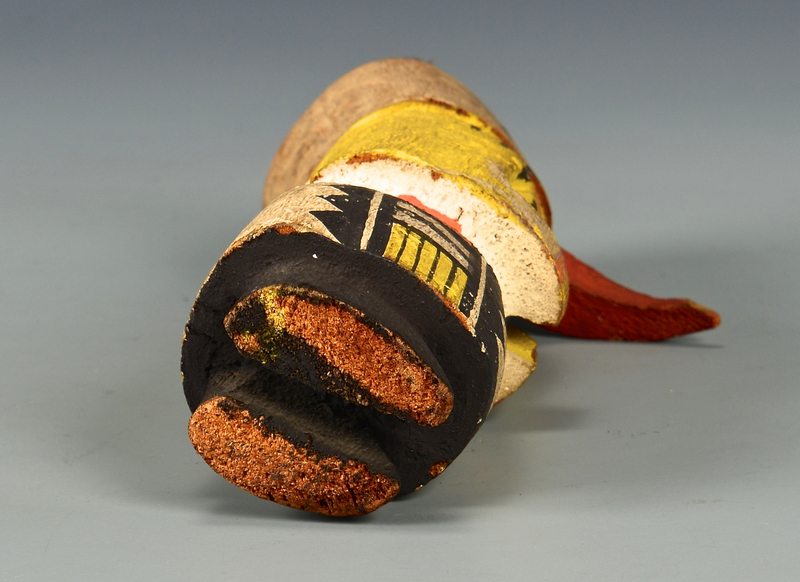 Condition: Both overall general minor wear to paint. 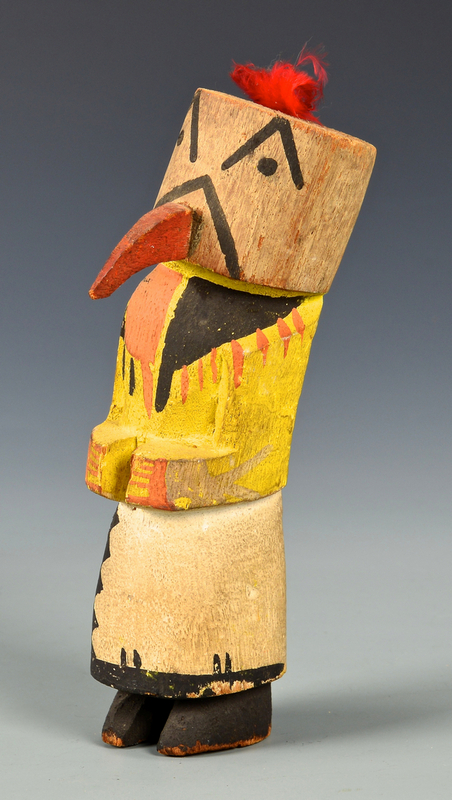 Duck bill Kachina with break to left foot.